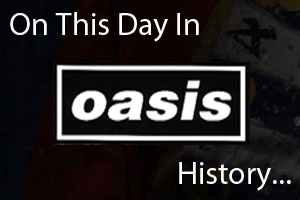 On December 4th 1999 Oasis played at the Allstate Arena in Chicago, USA. The line-up for 'Q101 Twisted Xmas 6' featured Run-D.M.C, Foo Fighters, Chemical Brothers, Moby, Blink 182 and more. On December 4th 2008 Oasis played at the Staples Center in Los Angeles, USA.